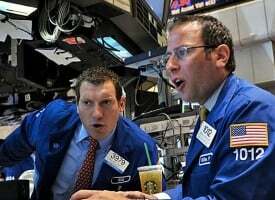 On the heels of the Dow falling more than 300 points and the price of oil continuing to slide, today a legend in the business sent King World News a powerful piece that warns about a twisted fairy tale with a nightmare ending in the West. John Ing, who has been in the business for 43 years, also discussed a shocking event that recently took place in China. The flood of capital pushed rates to negative yields with the price of stocks and bonds having risen dramatically to nosebleed levels. Sovereign credits became the new borrowers. However, the tables have turned. Geopolitical games are heralding a new era involving the rise of nationalism, territorial acquisitions, sectarian conflicts and a crisis of capitalism. Specifically, geopolitical games of chance are being played out in the Middle East. We believe the series of deadly attacks in Paris and Mali have increased investing risk and a source of turbulence in our financial markets. Allies have become enemies, while enemies have become allies. In its struggle against terrorism after 9/11, the West and Russia, former pariah, has cozied up to Iran, a former axis of evil member but today the new found ally of America. Both are pushing to keep Assad in Syria and Russia is hoping to enlist Iran’s aid to fight in this multi- sided war to counter the Islamic State (IS) militants, the common enemy of the West. Syria has become the linchpin. Mr. Assad and Iran are Shiites and both are deeply distrusted by the Sunnis whose territory was lost to the radical Islamic State. The ongoing sectarian struggle between Sunni and Shiites is overlain by the clash between America and Russia and the rivalry of the regional powers like the Sunni backed Saudi Arabia, the Kurds and Turkey who appear to have conflicting agendas and eliminating IS is not at the top of their list. Yet the longer the fighting in Syria goes on, the more it will fuel the radicalism now being fought in our own backyards. In joining the fight, Russia has increased its influence in the Middle East, filling the power vacuum left by Mr. Obama’s tepid response and reluctance to cross even his own red lines. Ironically, in building its own coalition against the Islamic State, enlisting America’s long standing allies from Saudi Arabia, Jordan to Israel – the path of peace passes through Moscow, not Washington. Left aside and ignored of course are Russia’s Catherine the Great ambitions, Mr. Assad’s tenure and Iran’s centrifuges. What if sometime next year the consequence of the Middle East problems would be a rebound in oil prices? Russia, with the help of new found ally, Saudi Arabia is the world’s largest exporter could try to boost oil prices in a quid pro quo realignment. The oil price is global and the Middle East produces one of every three barrels of seaborne crude. After year and a half of engineering the price collapse, with budgets written in red ink and pressures to maintain government spending, OPEC is believed to want higher prices now that production outside the cartel has fallen. Russia and the Saudis are the top oil supplier to China and their burgeoning ties further isolates the West. Long an opponent of higher prices, America, the world’s largest consumer of oil could be left out in the cold as the Russians, Iran and Saudis change Middle East dynamics and oil prices. At a minimum, the Middle East was become a major destabilizing influence again. Another geopolitical concern that could change the risk equation is China, which was supposed to lead the global economy up, not down. China is set to grow at its slowest pace in 25 years but at near 7 percent will still outpace the West’s tepid 2 percent growth. The losers of course are those with close trade links to China, like Australia, Canada, Japan and the US. Ironically, those same players are signatories to the Trans Pacific Partnership (TPP) which created a free trade zone among 12 countries around the Pacific, excluding that elephant in the room – China. China in turn cut a free trade agreement with Australia even before the ink was dry on the TPP trade pact. China’s push also reduced trade barriers, tariffs and has even reformed its state owned enterprises (SOE). Further in an address before 16 central and eastern European countries, Premier Li Keqiang said China is looking to invest more than $1 trillion overseas and import more than $10 trillion in commodities, over the next five years. We believe China’s economic muscle and the infrastructure “One Belt One Road” plan will spur growth despite much handwringing in the West. China’s ambitious “Marshall Plan” links some 64 countries along China’s ancient trade routes financed in part by Chinese financial institutions like the China Development Bank and $40 billion Silk Road Fund. And China’s emerging middle class saw “Singles Day” shoppers spend a record $10 billion, surpassing America’s Black Friday sales in the first hour alone. And, while China’s devaluation surprised many, the move to market forces lessens its dollar dependency and is part of the uncoupling between the US and the world’s second largest economy. Promoting the internationalization of the renminbi is a key element of China’s intentions to influence the global financial system. The International Monetary Fund’s (IMF) inclusion of the renminbi to the SDR basket gives a higher weight than either the Japanese yen or British pound and is a major part in making the renminbi the key vehicle for investment in assets linked to China. The move also elevates the renminbi alongside the US dollar, yen, sterling and the euro, confirming the “redback” as a liquid investment in which central banks can safely park their wealth. Of concern is a slowing China is akin to the tail wagging the dog, particularly when the US suffers from stagnation, political dysfunction and the need to refinance a mammoth debt load. China is the latest entrant to join the world currency war, with the renminbi falling to five year lows against the dollar. China is divesting its dollar hoards in favour of piling up commodities and gold. What if China and others dump the dollars of debt dependant players like the United States? Rates will go up. Definitely. Maybe. What if US debt is no longer risk free? The Paris attacks saw the dollar move up and even outpaced gold as investors sought liquidity. The safety of numbers from quantitative easing and America’s deficit spending created a deep pool of dollars whose liquidity is unparalleled. Supply it seems is infinite. Or is it? The Fed and others have pushed the return on cash to zero. After stumbling with a tepid rate reduction, Mr. Draghi, President of the European Central Bank, fueled the global market by doubling down his “whatever it takes” promise with “QE is here to stay”. In Switzerland, you actually pay to hold cash where interest rates are negative. Money has become too cheap, having been debased by supportive central bank policies which pushed rates to historic lows. The US financial system is choking on debt made worse by an older demographic population. In the Seventies, total non-financial debt (corporate, government and individuals) was 140 percent of GDP. Today it stands at 250 percent. As a result, the bond and stock market are overpriced and risky at a time when there is zero premium paid for risk. As in 2007, Wall Street again is more interested in the rewards, rather than risk, making big leveraged bets on the next best thing, ETFs instead of sub-prime mortgages. 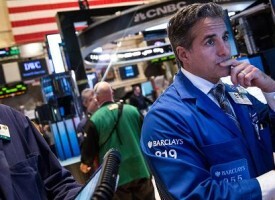 Wall Street has slipped into old habits. And of course, our politicians in an election year have stoked a “them versus us”, endangering capitalism itself. Debt still builds higher. In 1984 the US alone once was a creditor at $33 billion. Today, the US owes $18.5 trillion over 100 percent of GDP, much of it to China. Since 2007, the Federal Reserve has created more than $5 trillion from the thinnest of air. Moreover the world’s biggest borrower needs “artificially” low rates to service its exorbitant debt. Still the greenback has risen 6 percent since mid-October on expectations that after 10 years, the Fed will finally raise rates on December 17. We believe the well-advertised is already priced in the market, including the next hike. The market has already moved. When Draghi moved less than expected, the bond market sold off and the euro strengthened, not weakened. The rate increase will not be in response to a pickup in core inflation, nor a series of news suggesting a rip roaring economic recovery. Instead economic data remains a mixed bag, particularly when Zimbabwe’s economy will grow faster than the United States next year. While some believe this rate increase is a return to “normalized” rates as symbolism, we believe the rate increase and the next to come reflects a desperate need to finance America’s chronic deficits now that foreign money like the Chinese have balked at financing America’s profligacy. Our view is that supply will be constrained, beginning December 17, 2015. The swamp is draining. China is running down its stockpile of dollars to stabilize the renminbi and buy gold. 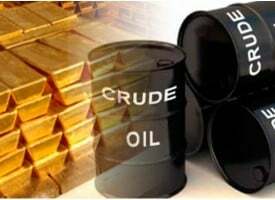 Russia, Brazil and Taiwan are also dumping US government debt with the Middle East oil players running down their reserves to pay bills with 50 cent dollars. Offerings are piling up. The big sovereign pension funds have shifted into property, cashing their low yielding treasuries. Money has shifted from the sterile capital reserves into the real world and soon those funds will fuel the inflationary fires as those trillions seek a home. Global real estate properties are already flashing an alert. Eventually the laws of physics will prevail and the excess supply of dollars will erode its value. Then the loss of confidence in the Fed will cause everyone to look for an exit at the same time causing a rush into gold just as swiftly. Caution is in order when risk picks up. But it is the inverse relationship between the dollar and the reaction of the world’s central banks that make gold an attractive bet. Gold is trading at six year lows due to the market’s complacency. Between 2004 and 2006, the Fed raised the federal fund rate 17 times in a row to 5 percent. 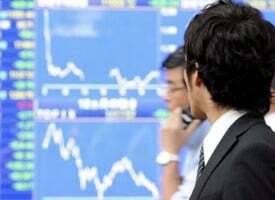 However, during that same period, gold increased 50 percent. Although, we believe, the first rate increase in 10 years is unlikely to match previous periods because of the precarious recovery and of course the election cycle next year, the old adage, “buy on mystery, sell on history” will prevail. The financial industries’ biggest asset is confidence. 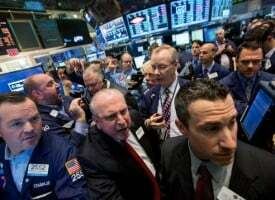 Currently the markets are complacent despite dramatic swings. We believe the increased volatility, changing geopolitical games of chance and confusion over the policy decisions of central banks together with the consequence of their past moves will contribute to a sea change in that confidence. The combination of too many dollars, economic stagnation and a riskier geopolitical climate makes gold a better store of value as the record amounts of money finally catches fire and ignites reflation. Gold will go up exponentially. There was a time when gold was money. In today’s paper dollar era, part of gold’s allure is its traditional status as a safe haven when everything from stocks to just sitting in a Paris café is considered risky. We believe the arguments for a resumption of the bull market are compelling. It is cheap in an overvalued world. There is a further twist. Consumption remains strong in Asia. The Chinese are buying 50 tonnes of physical every month as a hedge against devaluation. In addition, declining supplies can only help support higher prices. Gold is a commodity that provides an early warning of trouble. 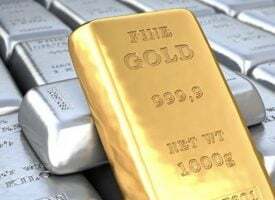 Our view is that the recent geopolitical events dictate caution and quite likely that as the world’s geopolitical temperature rises, so will gold. Next year, we believe gold will trade at $2,000 per ounce. ***KWN has now released the extraordinary top 10 trends and predictions for 2016 from Gerald Celente and you can listen to the audio interview by CLICKING HERE. ***ALSO JUST RELEASED: We Are Now Facing A Catastrophic Situation CLICK HERE. ***To listen to the powerful KWN audio interview with Bill Fleckenstein, where he discusses his predictions for 2016, why the gold and silver markets are poised for a significant rally, and why the global stock markets are set up to get crushed, CLICK HERE OR ON THE IMAGE BELOW.